Chicago has always had a special relationship with jazz, being the birthplace of legends like Nat King Cole and Gene Ammons and having played a key role in developing a variety of the genre’s styles. Chicago, to this day, remains home to an ocean of jazz talent and fortunately, platforms like BandCamp let audiences indulge in the city’s bustling scene from all around the world. Proving this point, local legends James Davis Quintet gift the internet with a collection of 4 excellent pieces performed and recorded at their three-day residency at The Whistler (Chicago, IL), titled Disappearing Roads. 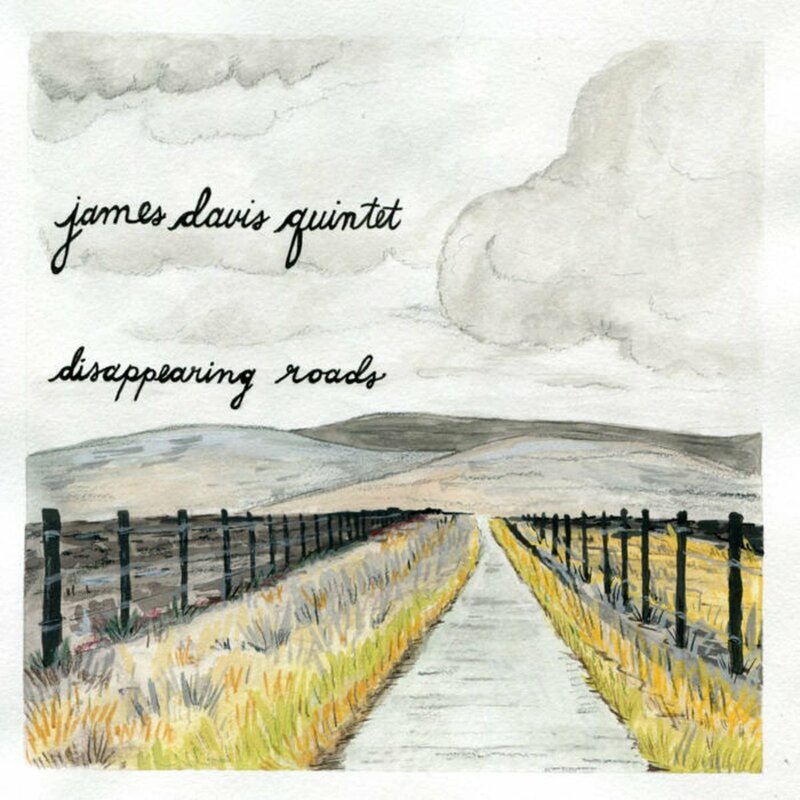 There could hardly be a better introduction to James Davis Quintet than the epic 16-minute title track that opens Disappearing Roads. The composition almost plays out like a mythological tale of a heroic journey in the way it blossoms from a calm, restrained beginning, gradually simmers in intensity over its length, and finally burst into a rollicking climax before returning back to calmness. Though there are dramatic twists and turns, the band keeps its melody firmly in grasp no matter how far they wander. The following track, The Change Constant, is a more subdued and relaxing affair where James’ melodies emerge from sparse, gentle passages like comets streaking the sky. Boogaloo, meanwhile, is the most playful and upbeat piece of the set as it build itself around a mischievous-sounding leitmotif. The track also presents a surprise by putting the guitar in the spotlight, allowing guitarist Dave Miller to take over with his nimble soloing for most of the composition. Regardless of whether you’re a fan of jazz or not, Disappearing Roads is a record bound to leave you thrilled.